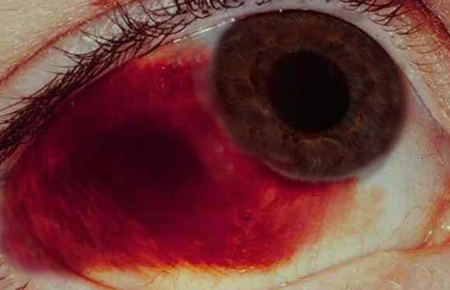 According to ancient seer texts, involving dream interpretation, dreams involving bleeding eyes symbolizes the sacrifices your have made and the difficulties you have endured. Alternatively, the dream signifies some very deep pain or internal conflict within your soul. Although you may not feel any physical pain, you are hurting inside. Perhaps you have been hiding the pain for so long that you forgot what pain feels like. There is some unrest or uneasiness within which needs to be addressed and resolved immediately. To dream that you are hemorrhaging suggests loss of vitality, loss of faith in yourself, and lack of self-confidence. Also consider where you are hemorrhaging from and analyze the symbolism of that body part.